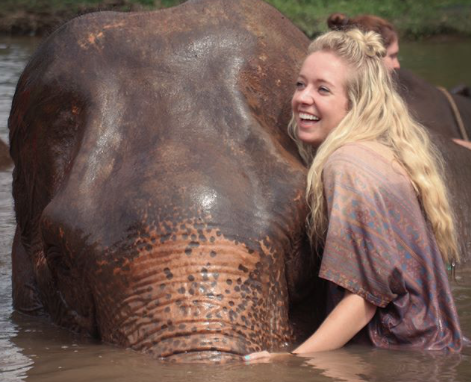 If you're traveling to Thailand you have got to have some sort of elephant experience, right? Here are the best parks to go to. Millions of tourists flood to Thailand every year - for good reason. There are some incredible places (just check out our Thailand Destination Guide if you need some ideas). One of the things everyone wants to do here is interact with elephants and it's become quite the attraction. Sadly, many tour organization famously mistreat the elephants as a consequence of sustaining this practice for the large number of tourists that come through. 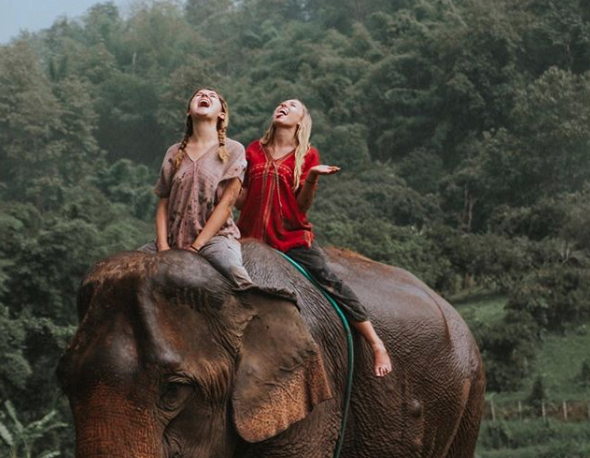 While playing with elephants is an amazing experience, you want to make sure you are going to an elephant park that has the best intentions for both their elephants and for you. Here are some tips to help you research organizations that are better options. 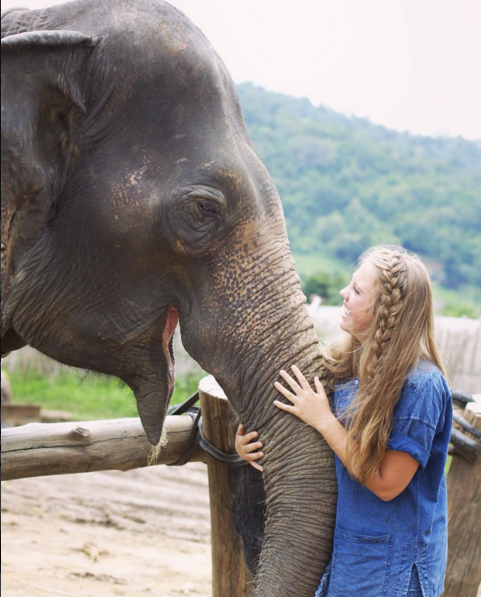 There are elephant parks all over Thailand, but chances are high that you will be in Chiang Mai when looking to play with elephants. This is the part of the country that is more of a natural habitat. There are tons of elephant parks in Chiang Mai, but they are not all created equal. What Makes A Good Elephant Park? The first step in finding a better park is to do a broad internet search: something like "elephant camps or parks" in Chiang Mai. You'll see tons of results: any park that has the elephants doing something unnatural like painting, standing on their hind legs, wearing a seat for tourists to sit on or anything else like that probably isn't something you want to support. There are a few reputable rescue or sanctuary parks out there that provide a better experience for both you and the elephants. It's a good sign if they limit the number of people who can come see the elephants each day - meaning they're likely not pushing as many people through as possible and therefore putting extra strain on the animals. Once you make a list of parks you're interested in, do more research on the individual parks. 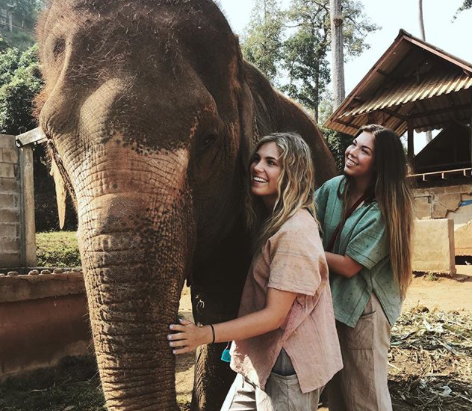 Don't be fooled, all of their websites will say they do not abuse the animals because they know that tourists are picking up on this practice and expect them to be treated better. Don't believe it just because they say it. The reviews will speak for themselves. Read through a few of the good reviews and read through the bad reviews. The good elephant camps have most good reviews. The good ones will be more expensive (that's usually another sign of a better organization), but it's totally worth it! Psst : There are many parks that will rip off the name of the good ones and try and lure people over there. Don't let that happen to you! Book and make any plans directly through their website. Spending the day with an elephant is priceless. If you go with a good camp that has happy elephants, it will likely be the favorite part of your trip! Looking for ways to get to Thailand? International Language Programs (ILP) is a non-profit organization based out of Utah with years of experience sending college-aged volunteers abroad to places like Thailand where they can make a difference, really live in the culture, and of course travel all over the country and get to experience things like the Lantern Festival!